Wednesday, January 15th, 2014 at 9:30am. Happy New Year! It’s hard to believe that 2014 is already here and upon us. And from the predictions so far it looks like this is going to be a healthy year for the housing market. 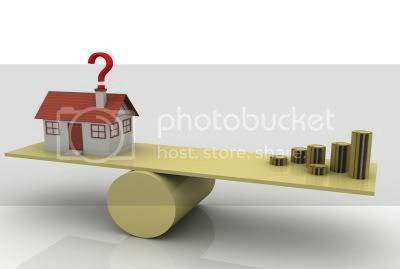 A recent article on CNNMoney points out how the housing market is shifting and will provide more opportunities for both buyers and sellers, although it is somewhat of a balancing act. “For a sustainable recovery you want to see more balance between buyers and sellers,” CoreLogic Case-Shiller’s chief economist David Stiff explains. Stiff is forecasting a 6.8% rise in the median home value for 2014. Tuesday, December 31st, 2013 at 9:50am. The percentage of women over the last decade in the work force has risen roughly 11 percent and women going into 2014 are projected to account for 47 percent of the total labor force according to the United Stated Department of Labor. Demographic changes are helping to fuel the trend. Thursday, December 12th, 2013 at 10:01pm. We live in a time where digital photos are everywhere. Take Instragram, Snapchat, Facebook and of course Pinterest as prime social media examples of where photos are instant forms of communication. It's because of these social networks that consumers demand a visually appealing online presence. Tuesday, December 3rd, 2013 at 7:06am. The holidays are a fun and festive time, but what about buying a house? Should you try to do that in November or December? If you're not picky about the home you intend to buy, the answer might be yes. Sellers tend to avoid the end of the year due to the short days, wintry weather and the conventional wisdom that says buyers are otherwise occupied. But for those who do choose to sell at year end are often under pressure and highly motivated to cut a deal and that's why it might be a smart time to buy. Determined househunters can take advantage of sellers' urgency. Friday, November 30th, 2012 at 2:31pm. Looking for a Home? Do you want to live at the beach? Move to Beachtown Condos in Shadowlawn, Virginia Beach. Come home to this coastal design inspired community only 3 blocks to the boardwalk in the Shadowlawn Community. Start living by the beach lifestyle and enjoy the Virginia Beach sunshine, boardwalk, restaurants, and festivals at the oceanfront. What do I have to Lose? What is the true loss in Buying Power? Friday, November 23rd, 2012 at 8:10pm. Renting vs Buying - Where are you today? Sunday, July 29th, 2012 at 1:51pm. Did you buy in the housing boom? Want to sell your home now? Over the last year, I have heard from a few prospective sellers that say I made a bad decision and should have never bought when I did. You may have this same thought if you purchased your home in 2005 through 2009. Let’s dig into this deeper. For an example you purchased your home in Virginia Beach at the end of June 2005 for $300,000 dollars. Say today, it is worth $250,000. Say if you had rented a home of the same value – rent would be maybe $1,400 a month. For a case study- We will use June 2012 as the ending point with would be 7 ½ years. What is happening around town? Sunday, July 15th, 2012 at 11:55am. Something is always happening around town in Virginia Beach or just a short drive away. Go fishing, play a round a golf, or head to the beach and enjoy the festivals and music throughout the year. Have some fun and share your experiences with your friends and family. Qualify for the Boston Marathon at the March Shamrock Sportfest’s annual 26.2 mile challenge, or run for fun in one of the shorter races. There are a lot of races in the area, so come train with The Hampton Roads Runners. Every spring, the Virginia Arts Festival welcomes internationally-acclaimed dancers, musicians, actors and other performance artists in one of the premier cultural events in the mid-Atlantic region.